When most business owners think about having their building’s façade cleaned, they think of aesthetics first. It’s true that a clean building looks better than a dirty one, and that a dirt-free building is a significant way to make a good first impression on your customers. Also, potential customers passing by or visiting your business for the first time will make quick judgments, and a clean building says that you are professional, organised, and detail-oriented. 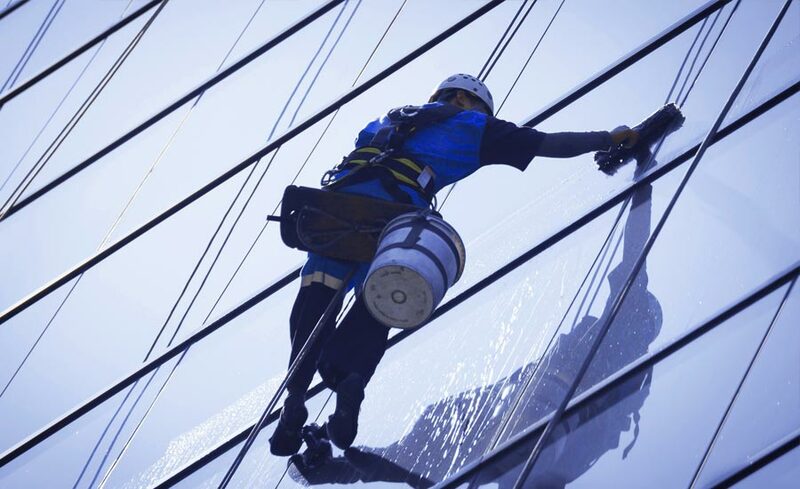 Professional façade cleaning services can help you maintain that neat appearance and keep your building free of dirt, grime, pollutants, and staining, allowing you always to put your best foot forward. However, looks aren’t the only reason to keep your building clean. It’s just as important to protect the exterior of your building by removing harmful pollutants from the façade. These pollutants can accelerate deterioration, costing you much more in the long run. For example, moisture is the leading cause of masonry decay. If humidity combines with atmospheric gases or soluble salts, the rate of decay increases. Soluble salt will dissolve in the water and be carried into pores and cracks in the masonry. When the water evaporates, the salt recrystallises, exerting pressure that damages the building materials from the inside. Façade cleaning also helps protect your building in another way. This type of cleaning keeps the building’s pores and cracks free of debris, allowing moisture to escape freely. If moisture becomes trapped in cracks by dirt or even a waterproof coating, it can lead to faster decay. Comprehensive façade cleaning may include waterproof coating removal for this reason. Finally, keeping your building clean is vital so that you can see areas of damage that need attention. It’s hard to identify issues with the substrate if it’s covered in dirt. So that professionals will be able to gauge the condition of your building’s façade easily, it’s essential to keep it free from dirt and coatings. When you keep your building clean, it’s much easier to identify areas that need repairs, resealing, or patching, protecting your building and saving you money long-term. At Jani-King, we provide our clients with a range of commercial cleaning services not limited to offices. We partner with reliable, high-quality service providers to ensure that our customers receive everything they need to keep their entire properties clean and in good repair. From waste management and pest control, lighting repairs, roof and gutter maintenance, we can connect you with all the services you need to manage your property well. The best part? You’ll still have only one point of contact and one invoice for everything, making your job as comfortable as possible. We provide custom solutions for a range of small and large businesses including offices, retail spaces, hospitals, hotels, schools, and more. Keep your business looking great, and your property protected with Jani-King, and find out why we’re more than just a commercial cleaning company.